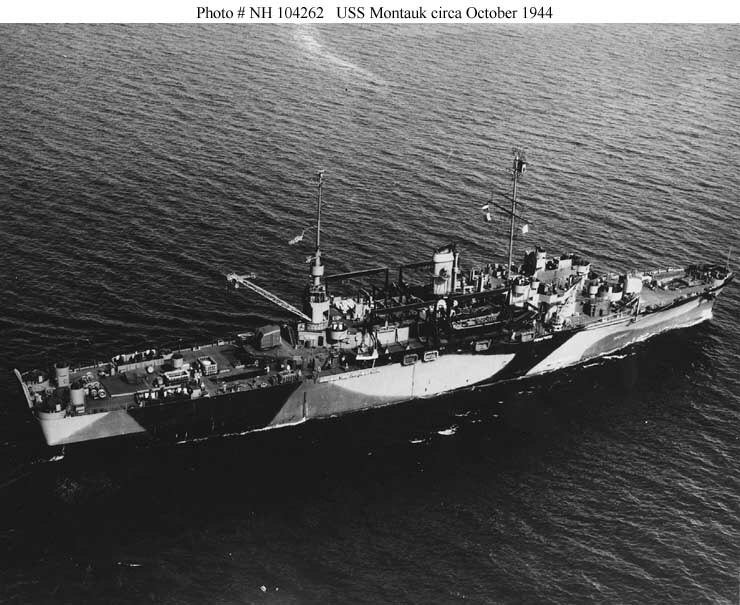 ↑USS Montauk (LSV-6). Probably photographed off New York soon after the completion of her LSV conversion there in October 1944. Official U.S. Navy Photograph, from the collections of the Naval Historical Center.